Creative Design Plumbing, Inc. (CDP) is a full service company with over 20 years experience. We offer a full range of plumbing installation and plumbing replacement services in South Orange County and the surrounding areas. We can do anything from a full design and installation of the plumbing system to extending your current system into a new home addition. Our expert plumbers use only high quality materials in all of our plumbing installations, so you can be sure the work we do will hold up over the long term. Creative Design Plumbing prides themselves on their workmanship by keeping their work area cleaner when they leave than it was when they arrived, wearing shoe covers to protect your home, and offering a 100% satisfaction guarantee. CDP is known for their trust, reliability and satisfaction that they leave behind on every job. 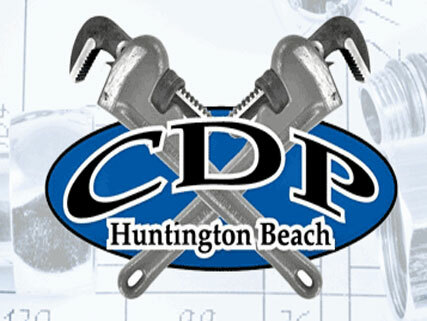 CDP Plumbing is licensed, bonded and insured, so you can have peace of mind that your home is protected. Our expertise covers a wide range of projects including commercial buildings, tilt-up buildings, outlet shopping centers, restaurants, day spa and beauty salons, and retail stores throughout Southern California. We also specialize in new construction of the finest custom-built homes. These magnificent homes are in the communities of Newport Beach, Newport Coast, Pelican Hill, Corona Del Mar, Laguna Beach, Irvine's Shady Canyon, and many more. 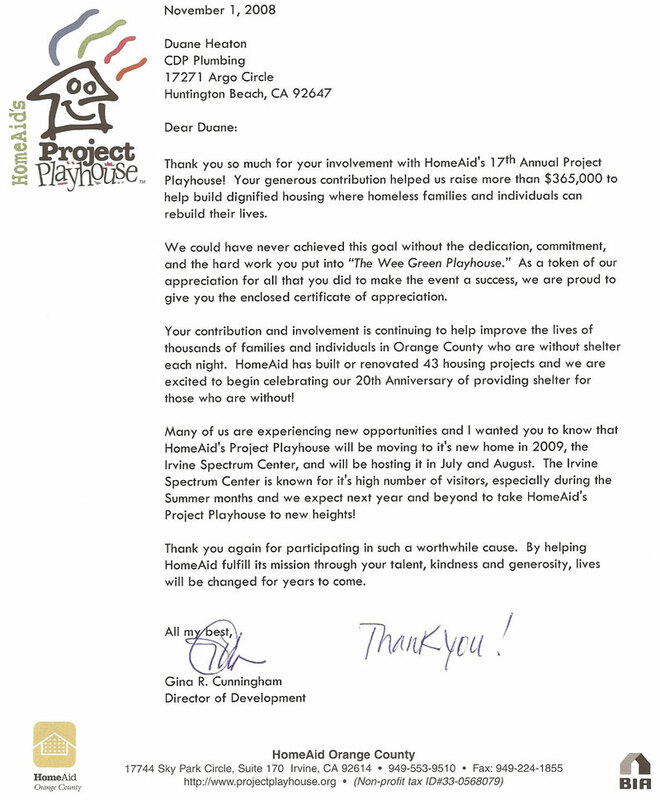 Our client and project reference list includes homes in all of Southern California. Experience Quality and Dependability since 1994. At Creative Design Plumbing, we make sure our employees are well taken care of. We recognize that their hard work, expertise skills and dedication are the driving force behind our customer’s satisfaction and our company’s success, and we continually look for additional ways to reward them. Our employees enjoy competitive pay and excellent benefits, along with a positive work environment built on mutual respect and professionalism. We are committed to improving the quality of life in the communities we serve. We invite you to build and advance your career with our company!